Jailbreak users who like to install many of Cydia tweaks on their iPhone usually respring their device a lot. If you want to customize the respring experience of your iPhone and make it a bit more interesting then a new tweak called Beacon 2 (iOS 8) can certainly help. The tweak allows you to change the look of the splash screen that displays the Apple logo while the device is respringing. In addition to letting users change the look of the respring screen Beacon 2 also adds transition effects that appears once the device has completely respringed, right before the lockscreen is displayed. With Beacon 2 tweak you can change the color of the Apple logo and choose between white or black color options. You can also change the color of the background and choose from a variety of color options including black, white, blue, yellow, pink and green. This allows users to have a splash screen that matches their device’s color, case’s color or to use a color that they personally like. From settings you can also choose the transition style you want to have after the device has completed the respring process. There are multiple options including paper flip effect, genie effect etc. 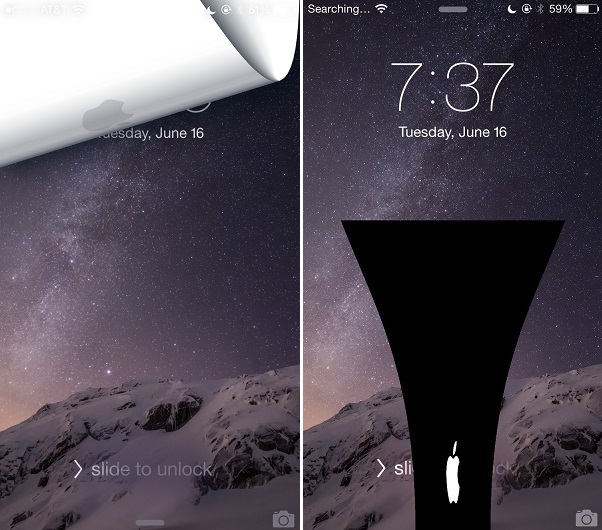 Beacon 2 (iOS 8) tweak is available in Cydia for $1.03 and it requires iOS 8 to work. TaiG has released untethered jailbreak for iOS 8.3, download now!